Global smartphone brand Vivo is known for its youthful and energetic vibe. Thanks to its legion of young followers, Vivo is known to constantly innovate to match the dynamic and ever-changing landscape of self-expression and communication led by the fresh generation. This tight adherence to innovation can be seen through the launch of the brand’s Y series, a set of Vivo smartphone models which cater to a younger crowd. In today’s world of “pictures-or-it-didn’t-happen”, tools for self-expression must always come in handy. Same goes for tools that would ease today’s fast-paced lifestyle both in work and play. Photo-taking with Vivo’s Y series is easy and convenient. AI-powered camera in mobile phones are dominating the smartphone arena and Vivo spearheads this great technology, enabling users to get the most out of their device. Vivo is famous for pushing innovation as its key agent for delivering topnotch products, delivering its brand promise of being in the frontline of cutting-edge smartphone technology. The Vivo Y91 boasts of an 8MP front and 13MP plus 2MP back AI-powered back camera and the Vivo Y95 of a 20MP front and 13MP plus 2MP back camera. Photos taken with these are flawless and sharp, and akin to professional shots taken by a DSLR camera. Vivo phones, apart from its stylish and premium look, are sought after because of this one powerful feature: a powerful processor that ensures faster processing speeds, quick app activation, and seamless app switching. Both the Vivo Y91 and Y95 are equipped with Qualcomm Snapdragon 439 Octacore which enables the phone to function smoothly as you maximize multiple apps and high graphics games. One’s smartphone must be able to keep up with all the demands of a fast-paced lifestyle. With heavy app use and constant social media access, most smartphone batteries end up consumed. 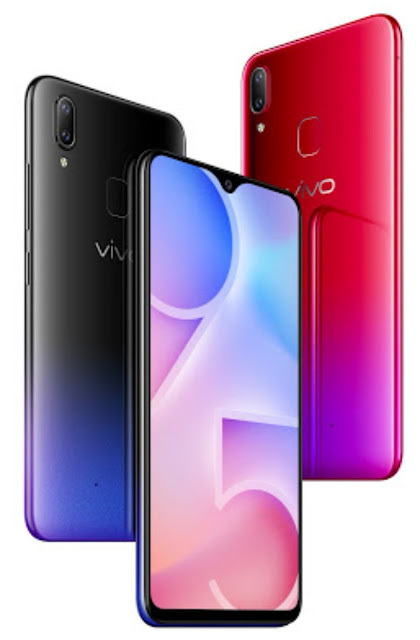 Vivo understands this constant need and as such, the Vivo Y91 and Y95 battery capacity is at an ample 4030mAh which is further made powerful by an exclusive smart-energy power management system. This allows you to use apps and consume data longer even while you are on the go. This is perfect for any go-getter who are constantly pursuing day-by-day errands and goals. Vivo’s latest Y series, with its powerhouse specs and affordability, truly fit the lifestyle of the contemporary dynamo. Grab your own Vivo Y95 or Vivo Y91 for only Php 13,999.00 and Php9,999.00 respectively, available at Vivo’s official online stores on Lazada and Shopee.